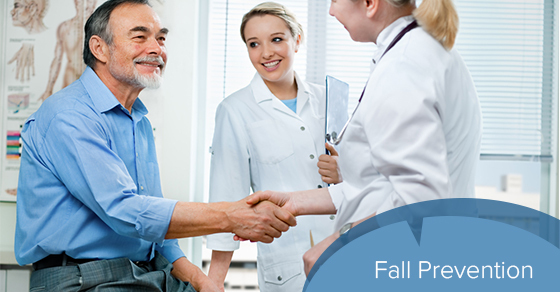 Falls are the leading cause of injuries that Canadian seniors experience, causing 85 per cent of their hospitalizations. More seriously, falls are responsible for causing 95 per cent of hip fractures, with 20 per cent of these incidents being a cause of death. You may be surprised to learn that half of these falls occur at home, while the bathroom and stair sets are also particularly dangerous areas of the home. Falls are one of the most serious threats that seniors face, but if modifications are made to seniors’ environments, the risk of falling can decrease. A lack of balance, poor eyesight and medication that causes dizziness all commonly contribute to the risk of falling. Therefore, it is important to have your loved one’s health assessed by visiting the GP, as well as the eye doctor. If the doctor considers these to be potential risk factors, he or she will recommend additional services, such as a visit to a physical therapist to increase strength. They may suggest mobility tools such as canes and walkers. It is important to clear away items that could be potentially dangerous. This includes things like rolling furniture and loose rugs. When it comes to area rugs, either remove them completely or use an adhesive to secure them to the floor. The bathroom is one of the most dangerous areas in the house. Install grip bars near the toilet and shower (as well as in the bedroom). Also use non-slip pads/non-skid bath mats inside and outside the shower to reduce the possibility of slipping. A shower chair and a hand-held shower head are also good ideas. In addition to the bathroom, the stairs is another one of the most dangerous areas for seniors when it comes to falls. First of all, stair use should be limited and they should be equipped with rails. When stairs have to be used, seniors should never fear socks or loose footwear. Footwear should be properly fitted. Increase lighting in the house. You could also consider putting in laminate flooring. In the event that a senior falls and is unable to get up, having the ability to get help by simply pressing a button on their necklace or watch could potentially safe his or her life.